A fun thing I just HAD to share! - http://www.1112.net/lastpage.html. This made me laugh out loud! #18 - Ask the local high school video department teacher to assign booktalks or reading promotion as a video assignment. Got an idea for a great video to promote your reading emphasis or special event? You’ve got trained, creative, enthusiastic and equipped high school students who can help. You’ve got classes that need assignments. You need to promote reading and resources. A perfect storm! One of my elementary school clients in Alabama convinced the video technology teacher to assign 90 second booktalks as a project and the results were terrific! If you haven’t discovered www.Pinterest.com yet as a resource for common core and library skills teaching ideas, go NOW and get started. I thought Pinterest was just for sharing recipes and funny stuff, but my wife Linda (an elementary school media specialist) has found dozens of great resources to help her get her students ready for the CRCT, connect literature to the standards and lots more. 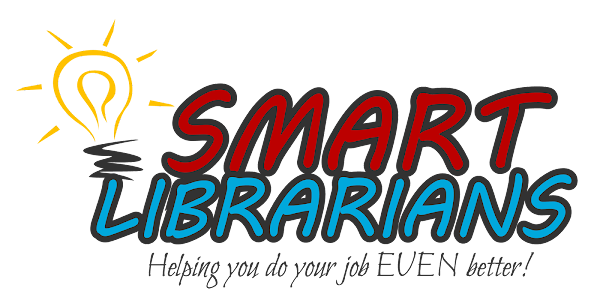 Media specialists are generous, sharing, smart people and Pinterest will allow you to connect with colleagues all over the country. There’s still time to schedule the CRCT Prep Rally, “We Can Do This!” for your students. We discuss test taking strategies, the importance of healthy habits, and over practice questions in a fun memorable format. Go to www.tommyjohnspresents.com/programs.htm and scroll down the page to find out more! Do people complain about overdue notices and charging patrons for lost books? Tell them it could be worse! “For him that stealeth a Book from this Library, let it change into a serpent in his hand and rend him. Let him be struck with Palsy, and all his Members blasted. Let him languish in Pain crying aloud for Mercy and let there be no surcease to his Agony till he sink in Dissolution. Let Bookworms gnaw his Entrails in token of the Worm that dieth not, and when at last he goeth to his final Punishment, let the flames of Hell consume him for ever and aye. #9 - Design and print READ posters for top readers, classes, administration, and staff with favorite books. I have designed a series of READ type posters you can use for your top readers and others in the school. I usually print these 11X17 so they are big enough to see, but affordable. Most big office supply stores run specials so that an 11X17 color copy of one of these posters is less than $2.00. No money? See #26 below. And if you are interested in seeing and using the templates I have created, send me an e-mail! #26 - Turn in all toner and ink cartridges to Office Depot, Office Max or Staples for money to buy things not in your budget like banners and color printing. Get them from teachers and students as well. Again, our school gets several hundred dollars every year while recycling! Most stores offer a rebate of $2 per cartridge and a minimum has to be purchased each quarter to get the rebate. Make sure that anyone who uses the store and does not already have a rewards membership of their own, gives the school’s (or your) phone number when they shop so you will get the credit. See individual stores for details. Your school counselor may have already come into the media center and asked for books about careers. If he or she has not, be proactive and pull some books (or print a list) and show them how the media center can help! This might also be a good time to go and weed that book about being a writer that features a lady in a beehive hairdo sitting in front of a Royal manual typewriter! And you may want to order these books about being a media specialist! I especially like the last one on the list! One other way to encourage your students to work hard to make their career dreams come true would be to get your counselors to pay for my newest reading show, “I Had This Crazy Dream!” “Crazy Dream” is a show that features the stories of 7 people who overcame obstacles and worked hard to make their dreams come true! Like all of the shows I offer, this show encourages library use and reading as it entertains and inspires students to do their best. Hank Aaron, Martha Berry, Ellen Ochoa, Philo T. Farnsworth and others are included in this fun and motivating program! Get in touch with me via e-mail or phone for more information!